What if a country became a city? How can we better integrate tourism into the whole economy? How will our destination marketing organization (DMO) remain relevant in the future? 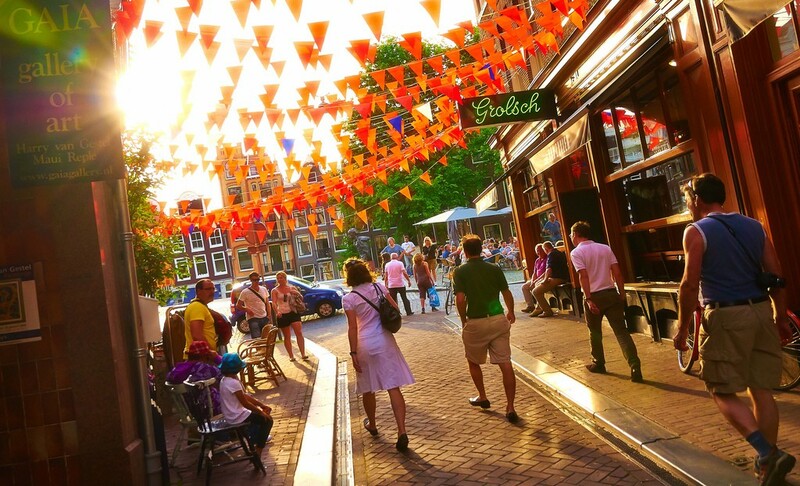 Netherlands Board of Tourism and Conventions (NBTC) Holland Marketing is asking and answering big questions to ensure that Holland continues to thrive as a destination. With a strong emphasis on collaboration with industry partners within non-traditional partnership and funding models, their work with Airbnb and other industry disruptors makes them a fascinating example of what it means to “learn by doing” and evolve with the changing tourism world. As part of our Leading Thinkers series (featuring the insights of those who participated in discussions at Destination Think! Forum 2016, we asked Jos Vranken, Managing Director at NBTC Holland Marketing, to explain his organization’s key challenges and solutions around partnerships. Destination Think! : Creative partnerships and collaboration on more than just funding and promotion seems necessary now in an industry where relationships are as important as transactions. At what point did NBTC realize that expanding beyond traditional partners was essential? 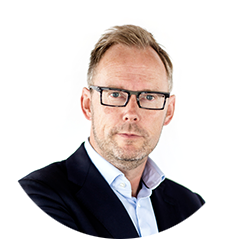 Jos Vranken: There is one Holland brand and it has always been obvious that – regardless of what sector you operate in internationally – you will work within the context of this single brand. Although this seems a fertile breeding ground for cross-sectoral partnerships, this didn’t materialize until a few years ago. My personal view is that the consumers’ perspective makes working with partners beyond traditional ones essential due to the fact that consumers don’t distinguish sectors or domains, they just look for a fab time, memorable experiences and don’t care how things are organised behind the industry scenes. Secondly, I believe that the definition of the ‘visitor economy’ has contributed to new partnerships. More and more related sectors got convinced (and evidence) that leisure and/or business travellers contribute to their business and bottom-line, e.g. retail or culture. Subsequently this has led to a more open attitude toward partnership and cooperation. From an organizational point of view there was also an urgency in 2011, when our national government announced a country-wide budget cut program, which included NBTC’s budget for branding and marketing Holland as a destination. It led to a reassessment of our partnership strategy and a huge reorganization. It fuelled the need and speed for (re)new(ed) partnerships in and around our core sector. The true change has been our HollandCity strategy. Positioning Holland as a city rather than a country (a country as compact as a city) redefines the way consumers start to look at our destination, but maybe more importantly at this stage of the process, it makes potential partners from within and outside our industry look differently at the destination of Holland and NBTC, creating new partnership potential and broader relevance for NBTC as an organisation and as a business partner. NBTC’s public-private partnership (PPP) model is considered quite unique when compared to many destinations’ funding models around the world. What benefits/solutions does this bring? What are the key challenges? Some of the key benefits/solutions are strong connectivity and alignment between long-term and short-term interests and goals (i.e. awareness & conversion), sharpness and marketing effectivity due to involvement ROI-driven private partners, and financial commitment (beyond moral support). It does, however, require a mature working relationship with the public partner(s), in our case our national government (Ministry of Economic Affairs). We have a rather strategic partnership allowing us to decide on the how and what based on our mutual agreement on the why (thus no micro-management). The PPP model fits our DNA, which is expressed in what we’d like to call the “polder model”: coming to a joint agreement/compromise based on a joint interest or goal and as a result of intensive involvement and interaction of/with all relevant stakeholders. Downsides of the model include high “process costs” as a result of energy of effort involved in the talks. It also requires constant nurturing, expectation management and checks on alignment of goals. In addition, one potential threat to the PPP model involves a question of priorities if a tipping point is reached: When private co-funding exceeds public co-funding structurally and substantially, who will be in the driver’s seat? And will this be in the best interest of the destination in the long run? As buy-in is often a challenge, what helps you align your goals with those of your partners? What are some of the ways you help your partners see the bigger picture and value of collaboration? The key to this approach is to turn moral support into material/financial support and buy-in. Aside from the power of urgency, an inspiring vision and a believable strategy, it is vital to facilitate and organize involvement. One of NBTC’s unique partnerships has been the joint citybreak campaign and collaboration with Airbnb. At a time when some destinations are fighting against Airbnb and others like it (seeing it as a threat to some stakeholders) or are curious about its value, you have embraced it. Destinations will be keen to hear: what obstacles did NBTC have to face and what have been the results? An important realisation is the fact that NBTC is not a branch organisation or government. We are an “independent” foundation running a public-private partnership and funding model. We don’t have members or a fee structure by which the sector contributes to our work. This position enables and allows us to look after the interests of (future) consumers and demand for Holland as a destination rather than members. We can thus embrace and capitalize on relevant opportunities such as the sharing economy. However, there will always be a thin line between marketing and partnership marketing. In other words: we will always have to guard the balance between doing what’s right for Holland and what’s right for partners. The optimum lies there where these two interests meet. Our day job is to constantly find those balances, expressed by branding and marketing initiatives throughout our source markets. Our experience in the collaboration with Airbnb taught us that it is key to clearly distinguish two things: the rules, regulations and legal context vs. future demand, trends and opportunities. Like others, we find it important that negative aspects of the “sharing” economy are being tackled adequately. However, we also feel strongly about the fact that negative excesses should not be an excuse for incumbents to fail to adopt and adapt to these developments. Just fighting against it is no option. ● It was really a case of learning by doing. ● Changing and steering partners’ policies and operations is better done from within partnership than from the outside. ● On the front end, the partnership contributed to the free, organic and open reputation of both partners. On the back end, true co-creation was difficult due to the legal aspects and many conditions driven by concerns, external pressures, public opinion and regulators. ● It was a good initial experience but there is no continuation yet, at this present time. We’ve been in this situation before, for example, as we’ve worked closely together with online travel agencies (OTAs), who are now among our biggest contributing partners. We have a long-standing partnership with Expedia dating back to 2008. The key point in our relationship is that not only do they increase the Holland product portfolio internationally, but just as importantly, contribute financially to our promotion in terms of awareness and positioning of Holland. Without these types of partners being willing to contribute both financially and in product offering (which to a certain extent is no longer the case as far as some Dutch suppliers and/or destination partners are concerned), as a nation we do not have the muscle to create a large enough international promotional footprint. Beyond our cooperation with Expedia, we also run joint campaigns with KAYAK, Booking.com, Skyscanner, Orbitz, lastminute.com, and many others. With so much changing in the industry, and the speed at which digital tools are disrupting the landscape, how do you see NBTC’s role changing in the next 5-10 years? Could your organizational structure face changes, too? It’s not a question if, but when, how, and to what extent. Our licence to operate is under pressure, 1) due to the rising position and importance of cities (instead of nations) and 2) due to further digitalization and thus democratization of the destination marketing process thus putting pressure on our relevance as a destination marketing organization (DMO). As Darwin once said, it’s not the biggest or the strongest that survive, but the one that adapts best. The jury is still out on NTOs and DMOs, and thus NBTC… We believe that HollandCity provides us with a potentially winning strategy, that can or will act as a springboard for our own re-invention. In order to gain a view and vision on the relevant developments and our future position, we will soon start “Project NBTC NEXT”. This will bring relevant external developments into NBTC further and faster, forming a strong foundation for future change and adaptation in terms of positions, roles, structure, skills (to some degree), competencies and thus people.